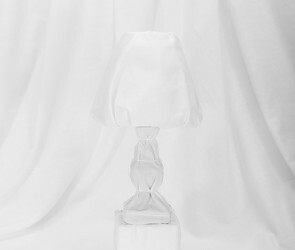 Through research, I learned about a theory on visual memory (sometimes called the “mind’s eye”), which posits that the mind interprets images rather than just seeing objectively, meaning that there is no direct connection between what we see, and what the mind interprets that we see. 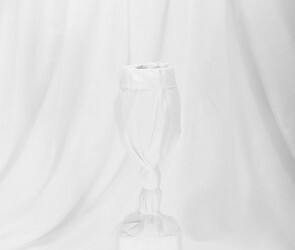 This theory holds that our mind process various images together to create a picture of the world for us. 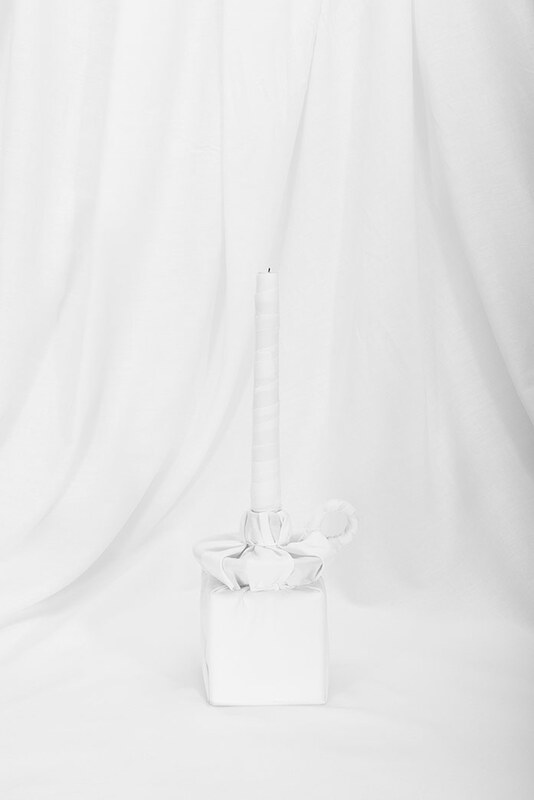 Our past experiences, memories, and interactions are combined with the present to shape the world.  In essence, the reality of vision is quite subjective. 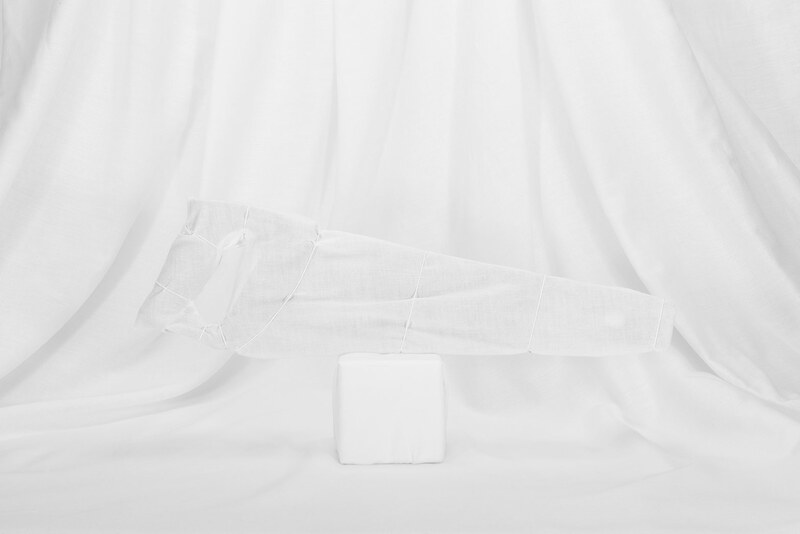 To capture this idea, I sourced everyday objects that people are familiar with. 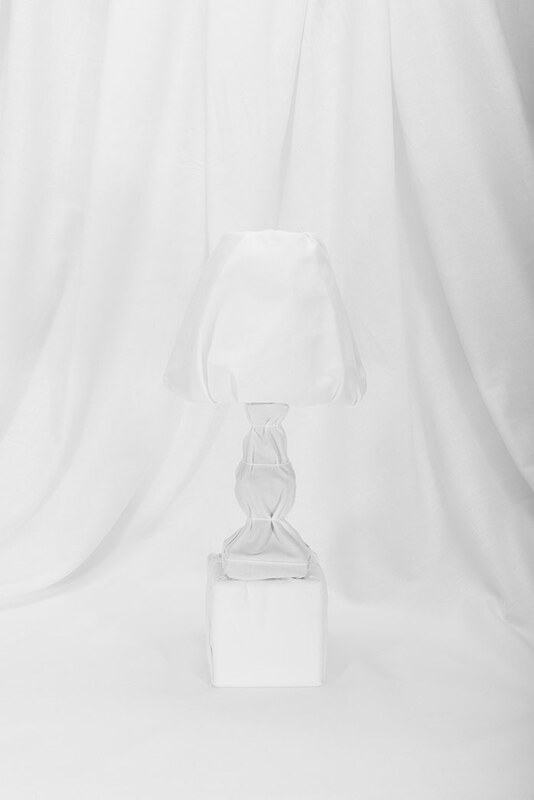 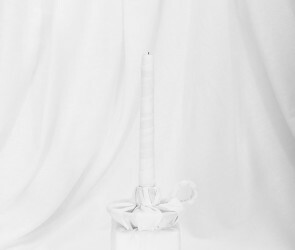 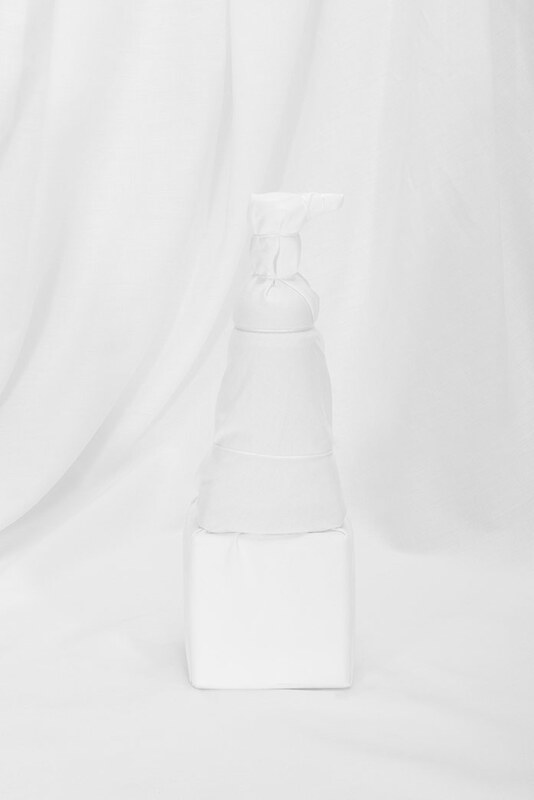 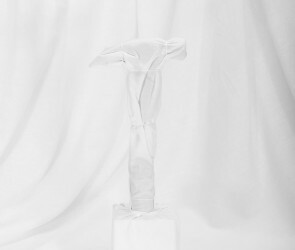 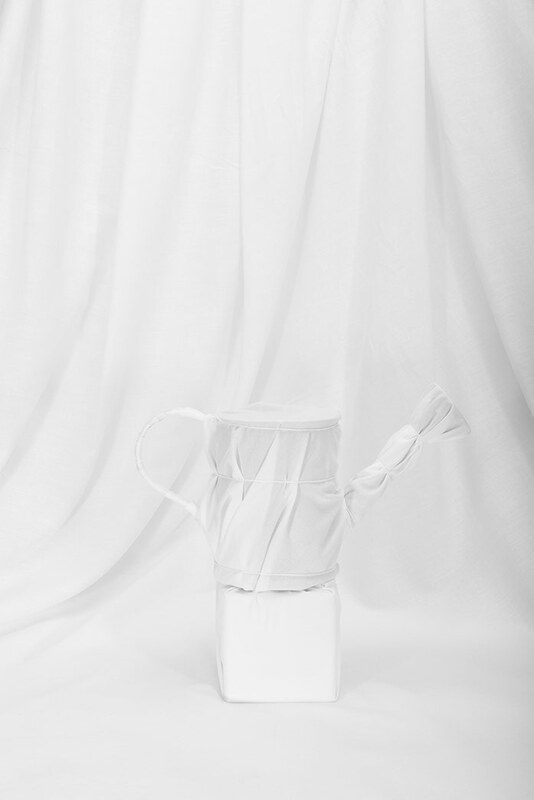 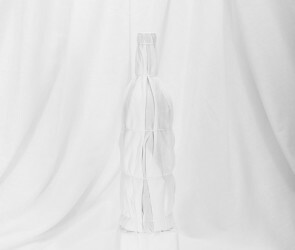 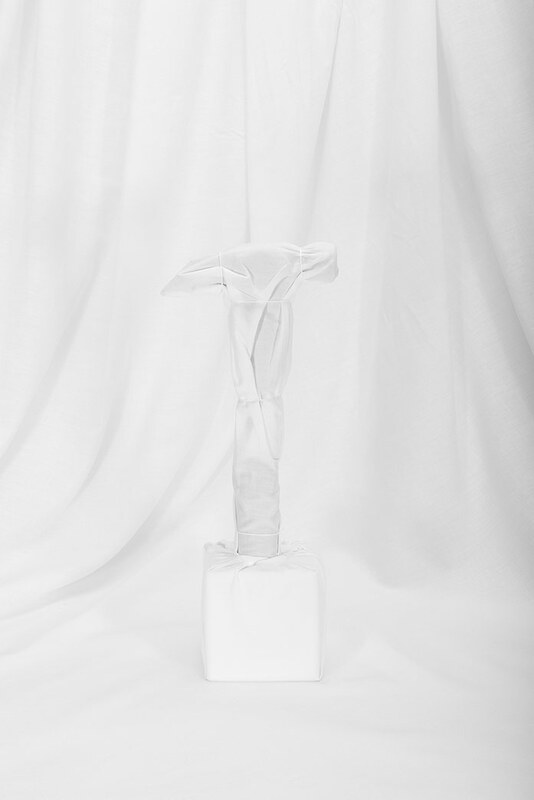 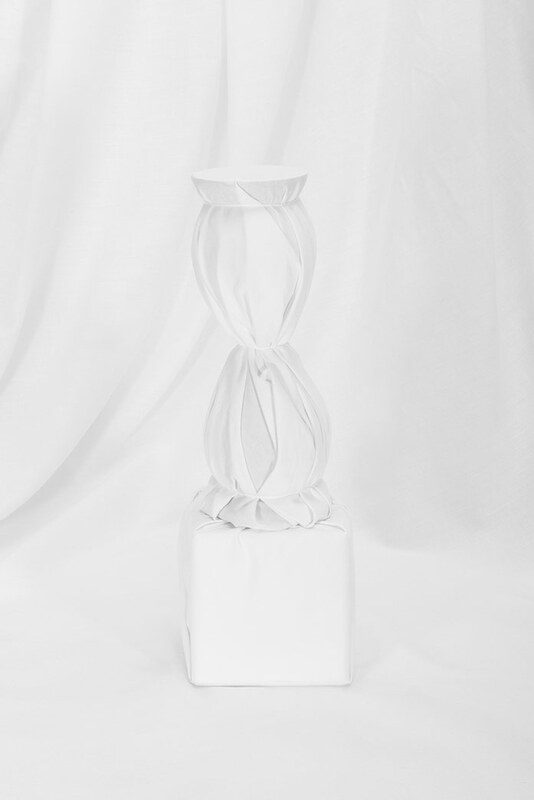 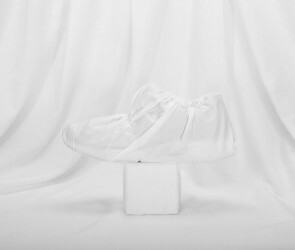 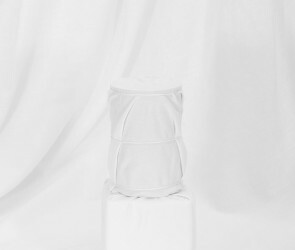 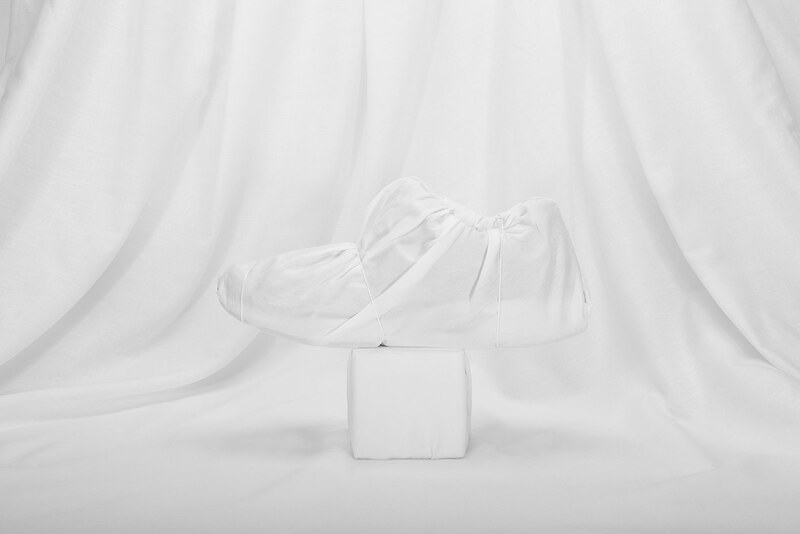 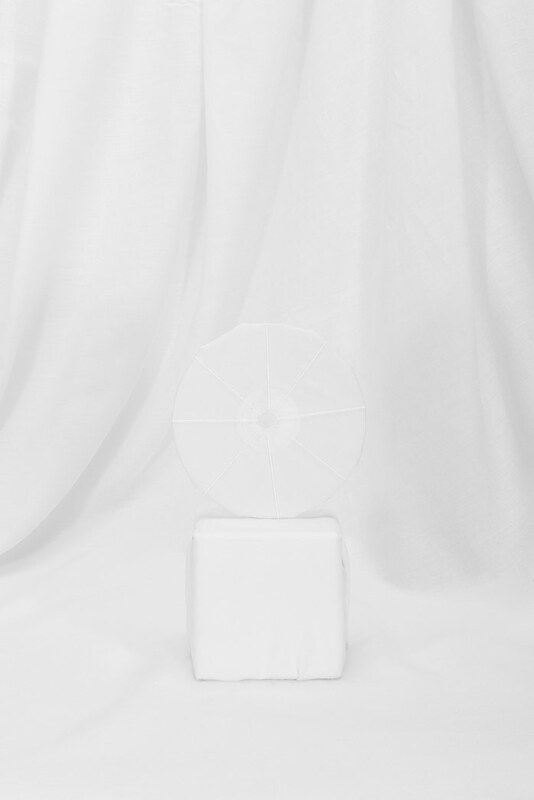 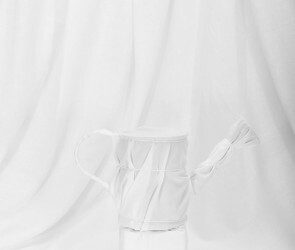 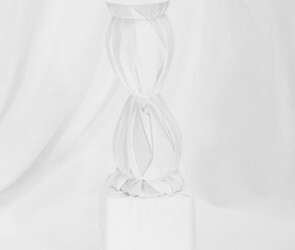 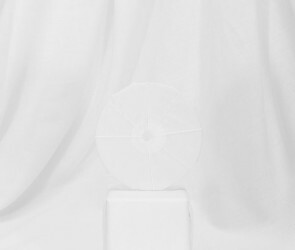 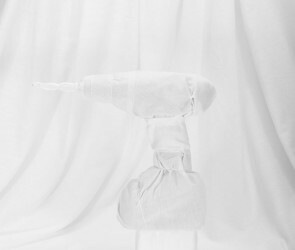 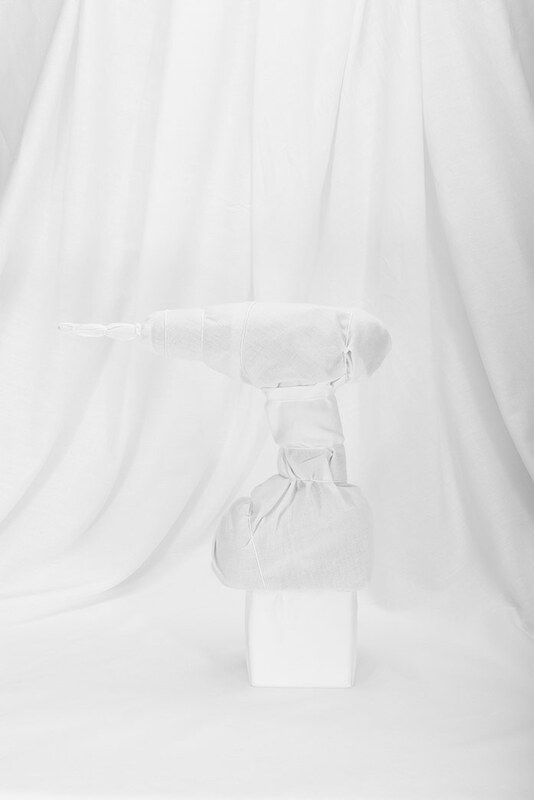 I wrapped the objects in white cloth and photographed the object on a white cloth background. 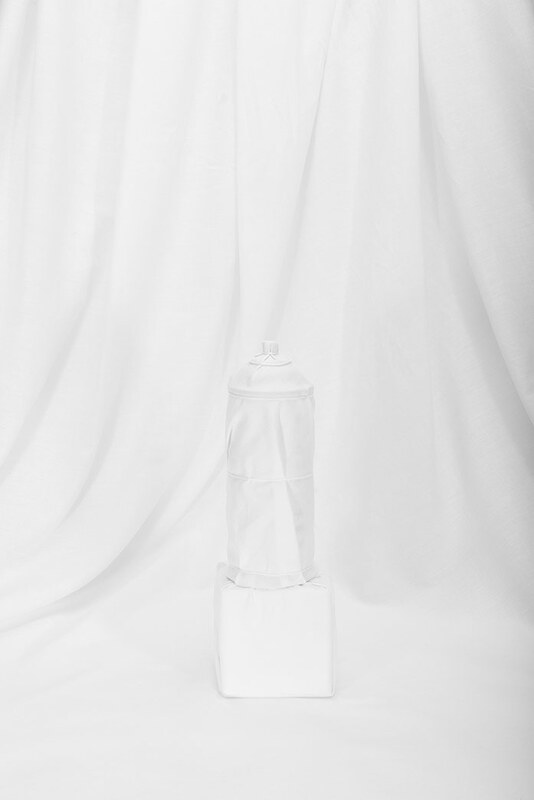 The images were shot with very little contrast between the subject and the background. 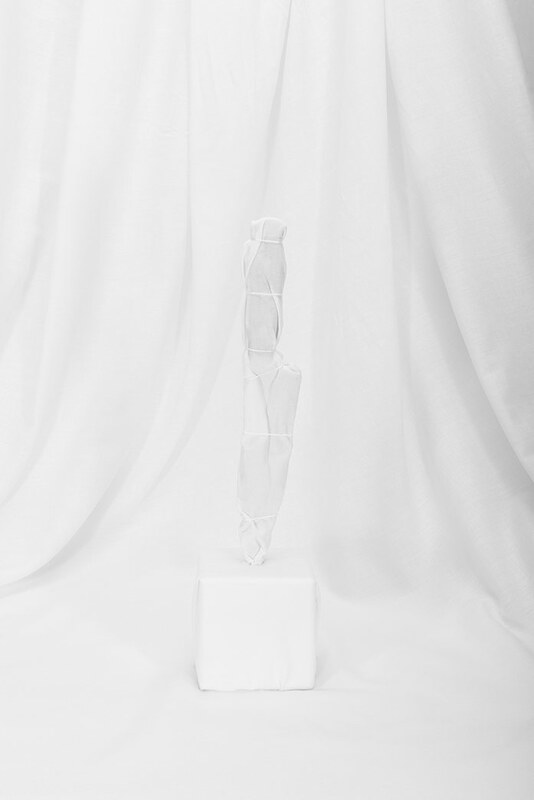 This was done intentionally to engineer an experience of tension for the viewer. 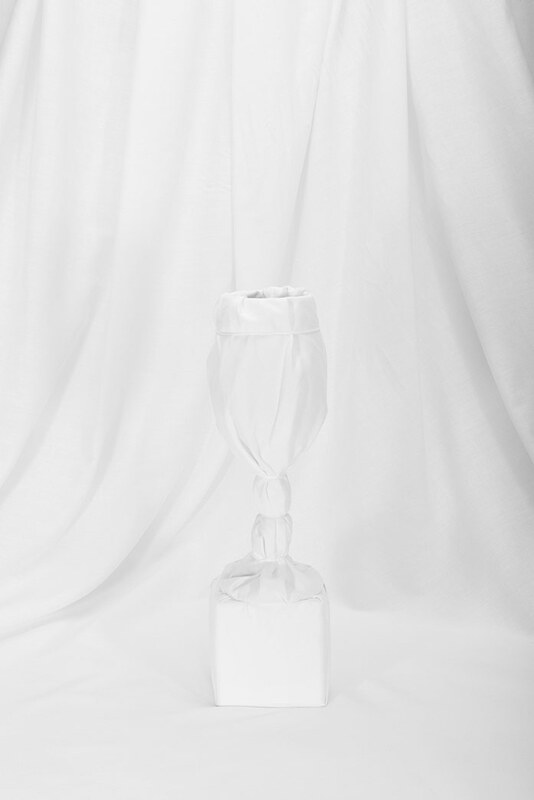 The image was missing information that the viewer needs to access the scene. 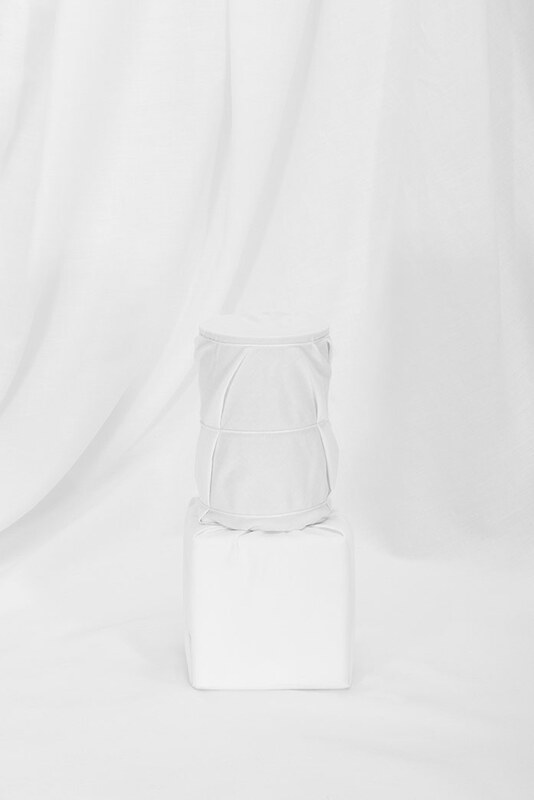 The object’s scale was distorted, the color was missing, and the context of the object was purposefully removed. 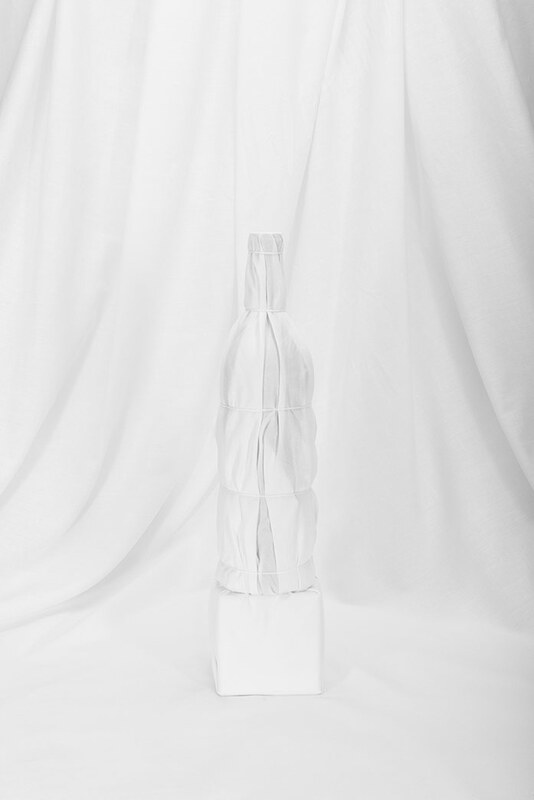 By photographing the object in such a way, the viewer would rely upon long-term visual memory to replace the object, with their own interpretation of what the object was that they were viewing.